The Higher Institute of English, the first collaboration between Mauritania and the UK in the education sector, opens in July. Operated by TVET UK members, it will offer full-time degree courses and part time courses developed to meet the needs of Government Ministries, the armed forces, and local and international business. 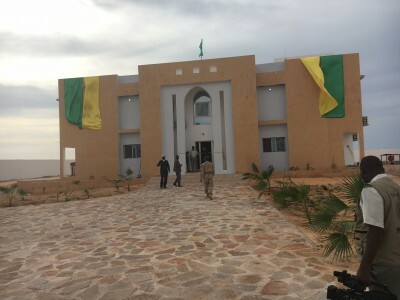 The Institute is a major element in the government strategy to boost Mauritania’s capability in international relations, including trade and commerce, and a showcase for UK educational expertise. Everything, from the furniture and books to the teachers and examinations, is provided by UK providers, organised by capable and experienced project manager, Graham McAvoy. Graham is the Managing Director of Alligan, which has been establishing new schools and colleges and supporting existing ones for more than 20 years. Alligan is active in the UK and overseas, having set up more than 20 national academies and completed major projects in South Korea, India, Pakistan, Abu Dhabi, UAE, Libya, Algeria, Morocco and now Mauritania. Graham has an active interest in the Maghreb and has travelled to Mauritania on a number of occasions, but never established any commercial connections there, so he was more than enthusiastic when Matthew Anderson, Executive Director of TVET UK, approached him about the project. With the first courses due to start in July, Graham and the team are busy making sure that everything is in place for the students. All books, equipment and furniture are being shipped over from the UK, and the Director of Studies and two senior teachers are due to fly out in May to organise the curriculum and timetable. More teachers will follow to prepare the undergraduate courses, which start in October.